I have seen thousands Mesa Arch images, but couldn't resist to go there and experience this feeling. I have been hypnotized by this place for a long time, especially by the orange glow and formation of the arch. Shooting the Arch in the morning, was the best experience in my photography adventure. 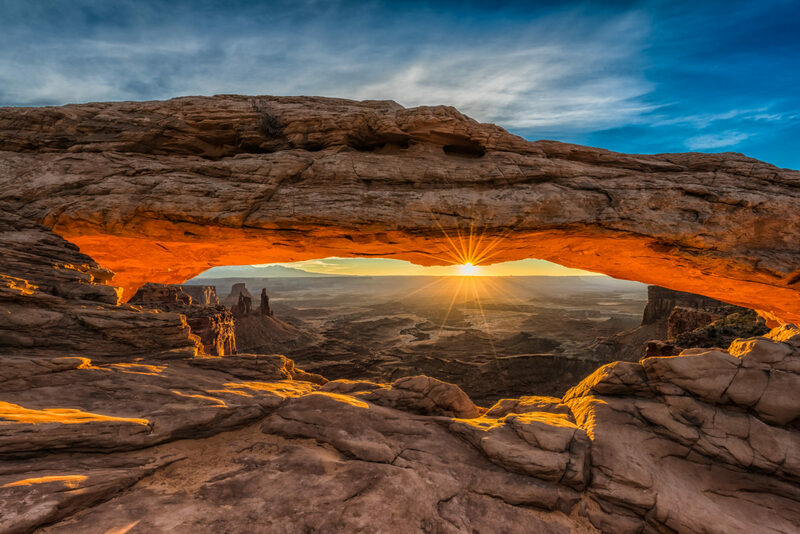 Spectacular location and view of the canyon below through the arch window, is like out from this world. This trip to Utah, was my 40th birthday gift that I will never forget.